At this point in my life, I have owned several DSLRs of an arguably ever-increasing quality and functionality. From the classroom, to the coast, to the middle of the desert and the top of mountains, I have taken them everywhere with blatant disregard for their safety. (They are tools, after all.) For years, one aspect of my photography has remained almost completely unchanged, until now. Almost without exception the lens you would find attached to my camera was a 50mm prime. 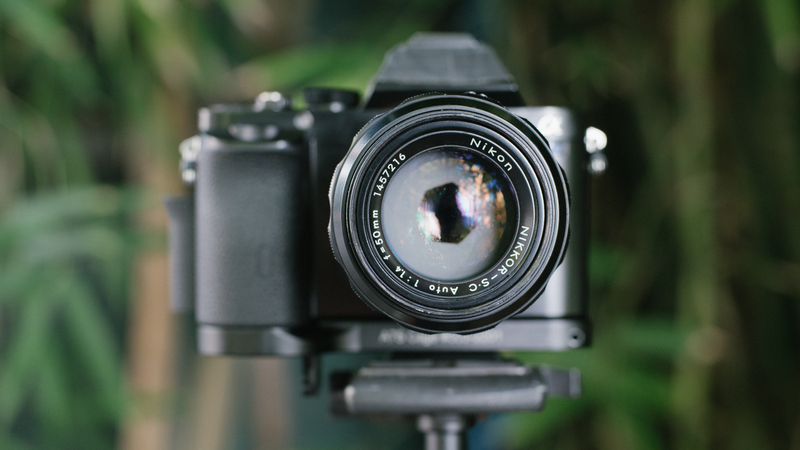 No kit zoom, no 35mm — nothing but a 50mm. Admittedly, this is a focal length I love. A capable, fast, and sharp all-around lens suitable in many, if not most, shooting situations. They’re lightweight, on the smaller side, and they provide a blend of DoF and FoV I find very versatile. They’re cheap, too. After awhile, though, the idea began to dawn on me that my fondness for the 50mm focal length may only be due to some optics-centric version of Stockholm Syndrome. It’s not that I was a stern advocate of only shooting a 50mm like the venerable Henri-Cartier Bresson; it was simply the only decent lens I could afford. And, I felt stuck. I have been long resigned to the fact that if I want quality glass for my camera then I am going to have to pay for it, and pay heavily. A Canon 24-70 f/2.8? Forget it. This lens costs nearly as much as my camera body. Same with the 85mm f/1.2, the 35mm f/1.4… and don’t even get me started on the Canon 24mm f/3.5 TS-E, my long-time dream lens. These are the lenses Canon shooters lust over; they’re sharp, fast, expensive. L-Series, right? But so few of us can really justify the cost. So I, along with many others, I’m sure, gave up on the idea of owning more lenses. As a struggling student and even now as a burgeoning professional, these things just cost too damn much for the benefits you are supposedly receiving. I’ve borrowed and rented lenses before, but it has hardly been convenient. I even tried adapting my old, inherited Nikon manual lenses to my Canon, but the results were lackluster. The lack of autofocus is really a killer on the modern DSLR. I was out of practice with my manual focusing and everything was perpetually soft as a result of the lack of electronic focusing aids (like focus peaking) on a DLSR. It seemed my only options were to save up for months on end to buy one overpriced Canon lens at a time or to make a change in my approach to buying photography gear. I obviously chose the latter. Custom re-housed for cinema, this Zeiss-Contax 135mm f/2.8 looks great on the a7s and its Metabones PL to E-mount adapter. Late last year, everything changed. 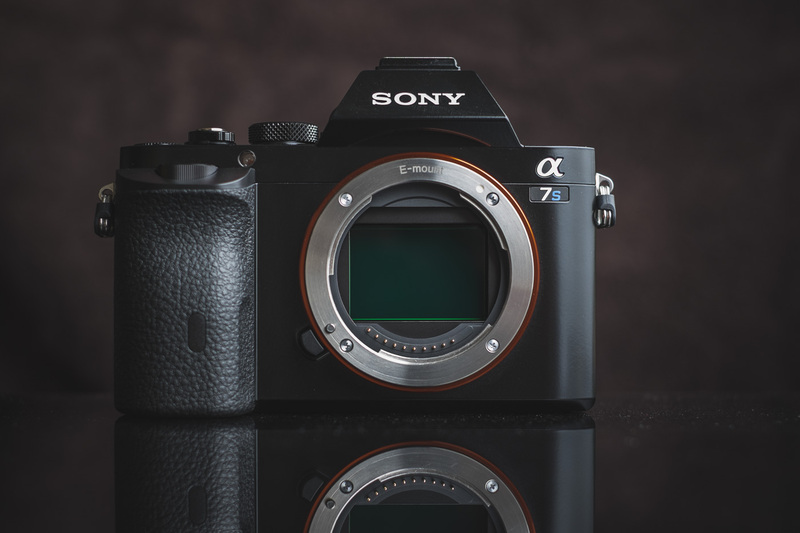 Enter Sony mirrorless: the a7 series. I won’t waste my time exhaustively extolling the virtues of these cameras, but I will say that there are many and I cannot remember the last time I was so absolutely comfortable with a $2,500+ camera purchase. I’ve jumped ship from Canon to a manufacturer known best for their televisions and game systems, and I haven’t looked back. I’ve jumped ship from Canon to a manufacturer known best for their televisions and game systems, and I haven’t looked back. There is one killer feature of the a7 series that I don’t think most people are aware of, which I speculate Canon and Nikon would prefer you know not. These full-frame E-mount cameras are capable of supporting ANY lens I could even dream of using on a digital camera. The day I picked up my a7s, I went from owning one mediocre Canon 50mm to owning six unique lenses, all without spending an extra dime on the new glass. 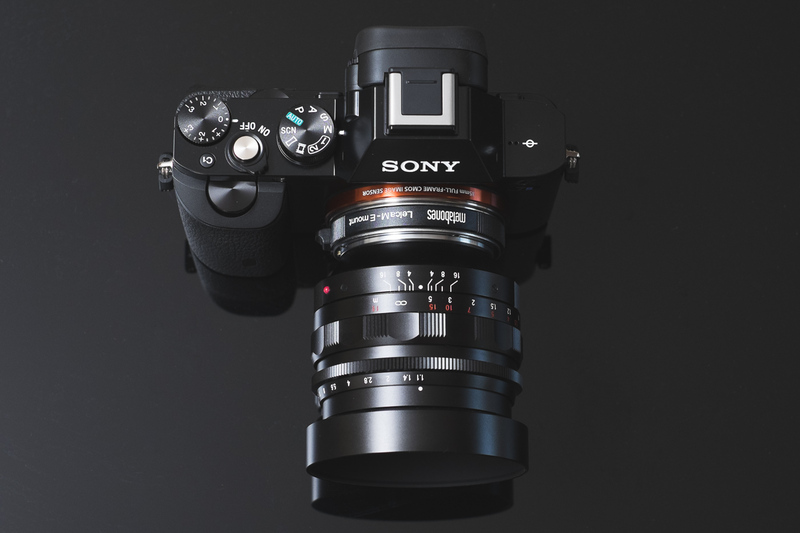 The a7’s short flange focal distance mirrorless design allows for the adaptation of dozens of competing lens designs, effectively eliminating the feeling of being “locked-in” to one camera manufacturer and the lenses they produce. Without a mirror assembly increasing separation between the sensor and the lens mount, companies like Metabones and Fotodiox (among others) found themselves free to design various adapters for the Sony E mount that are essentially surrogates for the mount – mirror – film plane distances that are proprietary between all SLR manufacturers. In this way, Sony’s a7 series is truly a shape-shifter. The old standard was that Canon cameras used Canon glass, Nikons: Nikkor, and Leica… well, you get my point. This is no longer the case. My Sony a7s is no more a Sony “camera” than it is a Canon, Nikon, or Leica. With the right adapter in my kit, I can literally shoot whatever lens I please. This is a truly exciting development for several reasons. Sony’s a7 series is truly a shape-shifter. First, let’s talk about cost. As I mentioned before, you’d be hard-pressed to find me buying a $2000 lens (barring some extraordinary good fortune, like a well-timed lottery win). Today, this is doubly true. I bought a Metabones Nikon F to Sony E-mount adapter, which supports all Nikon lenses made since 1959. In the weeks following my a7s purchase, I picked up two new (to me) Nikkor AI lenses for less than $100 each: the Nikkor-S AI 50mm f/1.4 and the Nikkor AI 35mm f/2.8. Less than $100, each. Let that sink in for a moment. I would posit that these old Nikon manual lenses are every bit as sharp as their $1000+ counterparts, albeit without the added benefit of image-stabilization and modern lens coatings. — I, myself, don’t mind the feeling a spontaneous lens-flare can add to an image. But I digress. I can build an entire kit of lenses for drastically less than the nearly $10,000 it would cost me in L-Series glass. Adapting lenses, for me, is a game changer. I can build an entire kit of lenses for drastically less than the nearly $10,000 it would cost me in L-Series glass. In fact, I nearly have a full set already. Second, over the last few years, instead of investing slowly and painfully in one expensive and overhyped Canon lens at a time, I have been pouring my excess cash into my Hasselblad kit. As a result, I am the very proud owner of two V-mount lenses, the Hasselblad 80mm T* f/2.8 and 50mm T* f/4. These are beautiful Zeiss lenses designed for professional photographers shooting medium format portraiture, and now I can use them on my a7s as well. By spending $80 on a Fotodiox Hasselblad V-mount to E-mount adapter, I now am able to employ these lenses in my digital photography. What if, for the price of an adapter, you could get twice the mileage out of the film lenses you already own? Some of you may be privileged enough to own multiple camera systems and lens sets. What if, for the price of an adapter, you could get twice the mileage out of the film lenses you already own? 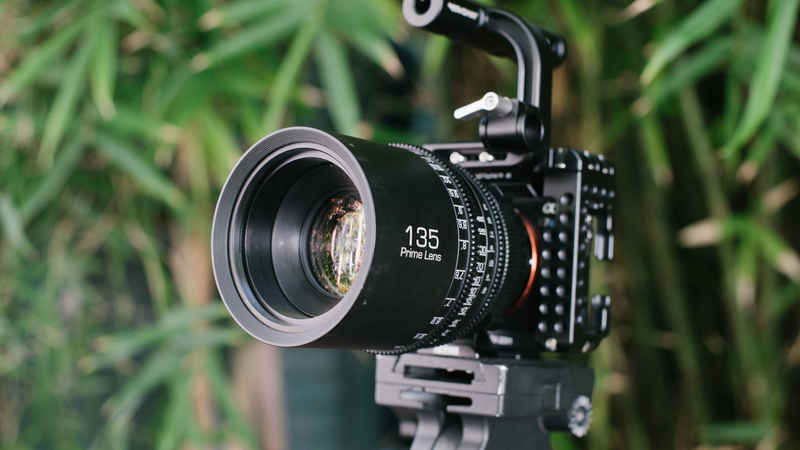 Additionally, as an extra benefit for those of us interested in cinematography and the lenses associated more closely with that field, there are also PL-mount adapters available from several manufacturers. 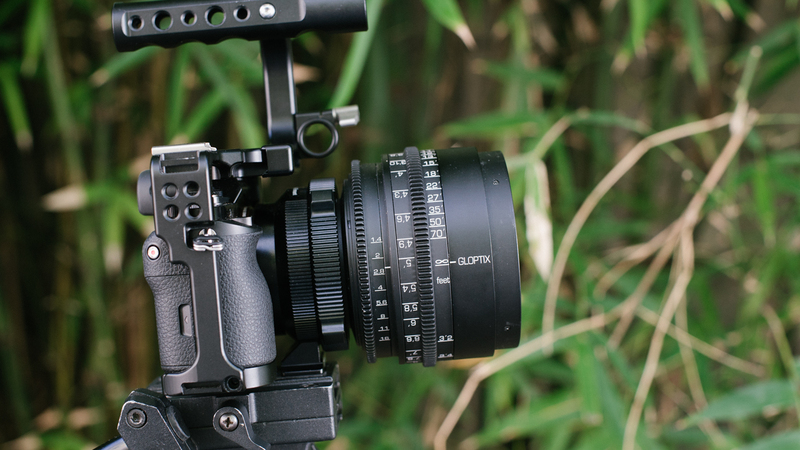 The Arri PL mount is a lens mount designed for 16mm and 35mm motion picture cameras. PL (positive-lock) is the standard lens mount found on cinema glass. The reason why this is important to those of us in the business of shooting motion comes down to a few things. First: lens design. Cinema lenses are designed with geared focus, aperture and even zoom rings, which allow for the “native” use of both on-camera follow focuses and wireless FIZ (Focus-Iris-Zoom) controllers. Additionally, when using the a7s as a 4K b-cam or c-cam, it is very convenient to be able to employ the same lenses you are renting for $800/day to use with your Red or Alexa. Lastly, cinema lenses are absolutely the highest quality glass you can or ever will put on a camera. They are built to very high standards, and are priced to match. While almost all manual-focus vintage lenses are adaptable to Sony’s E-mount, not all lenses are 100% compatible with a simple adapter. Modern lenses with electronically-controlled aperture will be forced to shoot wide open without an adapter that supports electronic control, and a compatible adapter may not yet exist for some lenses (e.g. Nikon AF-S). Autofocus is a feature only supported by the more expensive adapters, with the Sony A-mount to E-mount adapter actually adding extra phase-detect autofocus to the a7 series cameras. 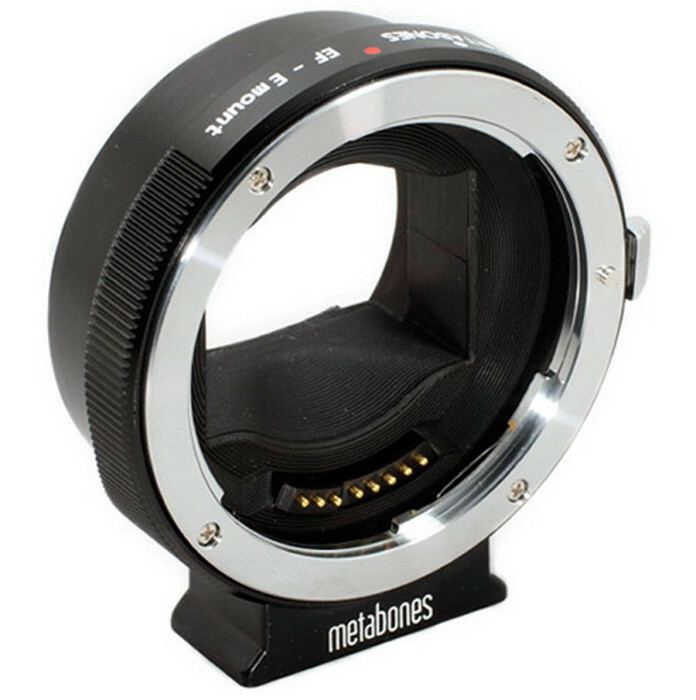 Metabones also offers their Smart Adapter for Canon EF lenses that fully supports electronic communication between the lens and the camera, allowing automatic aperture control, autofocus and image stabilization. This leads me to the drawbacks of adapting older lenses, if you could even call them drawbacks, considering how well the a7 series deals with them. Manual focus – some love it, some hate it. Most modern still lenses are simply not designed to do it effectively. If you adapt old Nikon glass as I am, you will be manual focusing. Always. But with features like focus peaking and digital zoom, you’ll find that this is actually less of an issue than you might imagine. Focus peaking is a feature that highlights the “in-focus” pixels of your image with a color of your choosing. Its intensity can be dialed to three different intensities, or simply turned off. It isn’t the most precise option for checking focus, but it is effective, especially in a high contrast scene. The other, even better feature to aid you in manual focusing is the digital zoom. DSLR video shooters and photographers familiar with live view shooting are used to “punching-in” in order to obtain critical focus. The concept is the same, except now you can do this with your eye to the camera, thanks to the absence of a mirror and the a7’s excellent digital viewfinder. With a few taps of the C1 button (custom function 1, where I have mine mapped) I am zoomed in 10x on my subject, and I can achieve tack-sharp focus before shooting. If you are on the fence about ‘jumping ship’ from Canon or Nikon to Sony mirrorless and the (admittedly) sparse E-mount lens selection, you shouldn’t be. With minor investment, your current lens system will adapt. 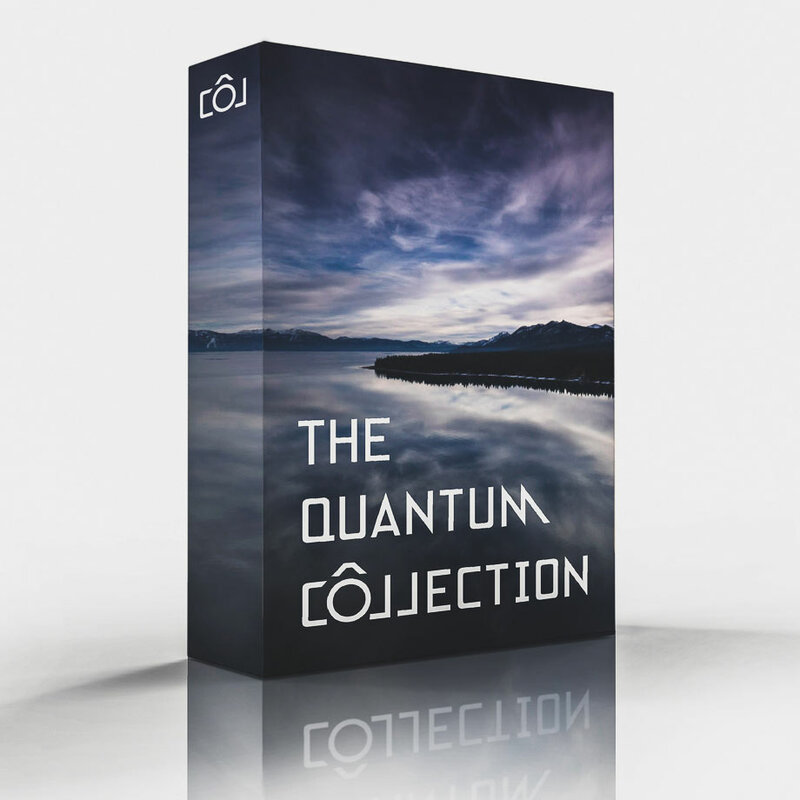 Additionally, if you’re like me and unwilling or unable to spends thousands on a single lens at a time, there is a real opportunity here to finally obtain all of the focal lengths you desire, and to have them for a fraction of the cost. I must say, reviving these classic lenses has breathed immediate, and much-needed life into my digital photography. 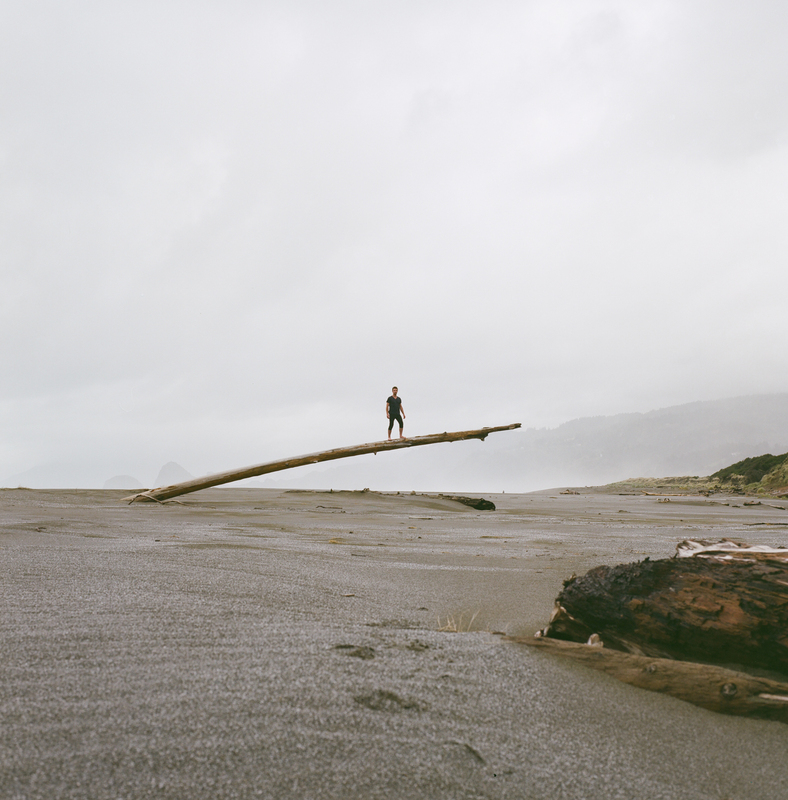 Cody William Smith is a self-described adventurer, lover of nature, mountains, sunlight and putting himself into precarious situations. He currently resides in Los Angeles where he works professionally as a freelance photographer and cinematographer. His landscape-centric fine art series A Moment’s Reflection has been featured all across the web and in publications around the world. He received his BFA in Cinema from Columbia College in 2012 and has been working in the film industry ever since. You can follow Cody on his website, tumblr, and instagram. I’m still learning from you, but I’m trying to reach my goals. I absolutely love reading everything that is written on your website.Keep the posts coming. I liked it! as here every material iss quality based data. Hi superb blog! Does running a blog such as this take a lot of work? I have noticed that your blog needs some fresh posts. The wider F mount Nikkors seem to have issues rendering clean corners, have you tried any of the 15-28mm lenses and can you comment on any experiences? Nice post BTW, really hoping to find a way to get more of my older glass to work on the A7RM2! Very nice article, there are more who wrote an article like this and so right for your kind of photography, but there are other quircks nobody write about in this kind of articles. Manual focusing is useless for moving objects, sports, bif etc. I’m 72 and come from the time that everything was manual, thus trained. I have Nikon and bought a Sony NEX-7, for lighter equipment and as a replacement for my Nikon D300. Every test praised this exceptional camera and the step from my 12mp D300 to the 24mp seemed a perfect upgrade 3 years ago. The Sony NEX-7, well ….was too expensive (€ 1200.-) and rubbish, because there were no lenses, hopeless menus and worse than my D300. I changed that camera for the Sony A6000 and that one is much, much better, but only when I bought the too expensive € 1000.-, 16-70mm f/4 lens. I put an adapter and put my Nikon glass on the A6000 and instantly was back in the dark ages of my photography. There it was, a high-tech digital camera, but all the high-tech camera functions are gone when I put the adapter on it and this is really not where I buy a camera for. Further, for me quinine glass is always better and I’m waiting (not the only one), about three years now for high quality and affordable Sony glass. My reason to jump to mirrorless is lighter, smaller equipment, the same quality and all the great new camera functions to use., in my case Full Frame Nikon with good glass. The modern top lenses and very cheap, 50mm f/1.8g, 85mm f/1.8g, further the 105mm f/2.8 macro, 70-200 f/2.8mm or F/4 VR II etc. and all the old cheap glass you mentioned. Status for me today. Lighter yes, a bit. Smaller no, there is no f/1.8mm or f/1.4 speed mirrorless lens, it has to be bigger to reach the sensor in the small camera (55mm Zeiss) and the maximum lens ranch to buy at the moment is 200mm. Even or better quality no. Better and quicker autofocus yeah …. Focus peaking always dead on, no it is not always. Live view manual focus dead on, super I do it all the time for landscapes, stills etc. Price, super for everything you describe in your article, for my kind of photography Sony mirrorless is very expensive. It is coming, more Zeiss glass is made, I still wait a while. I don’t see me buying the $ 3000.- Sony A7RII with an adapter, the 70-200mm f/2.8 VR II, in manual to photograph birds, it is not going to work. I hope you are not mad at me, but I missed this part in your article. I first started photography with the Olympus m4/3 system, which I still consider as a great system, but I recently switched to the Sony A6000, and it’s amazing. The technology that Sony is integrating into their cameras is insanely fast, accurate, and intuitive. Would love to get my hands on the A7 one day, but the A6000 is much more budget friendly for the enthusiast. Excellent article Cody. As an A7 user now, I am at last able to bring into digital use my large collection of legacy Konica Hexanon AR lenses which I have been keeping safe, and am having a great time. You did of course forget to mention the wonderful Hexanons and I cannot let that pass! But I have not abandoned my much loved Nikon D40 with the 18-200mm zoom! I find it easier for those spur of the moment shoots. Hey! Thank you. Ah, cool, I had never heard of the Hexanons until now; how are you finding them on the A7? Thanks for the tip, maybe I’ll have to invest in a set of those lenses as well. They are certainly priced right. I agree, the other caveat to this article is that I’m pretty much specifically talking about prime, manual lenses because that’s how I choose to shoot. For certain people the older and cheaper glass isn’t an option because they have different requirements. But for me, these mirrorless cameras and old lenses are a perfect fit. on lenses. Before moving to digital I only had Konica (and Bronica 645 format) kit so can’t offer any comparisons with other lens makes. I got my first SLR, a Konica Autoreflex TC together with the 50mm 1.7 Hexanon AR lens, back in 1978. I subsequently got a second body with the excellent 40mm 1.8 standard lens, and the 28mm 3.5 and 135mm 3.5 lenses. The 50mm 1.7 (really great lens) got most use. Those lenses alone more than satisfied my desire for pleasing landscape and portrait photographs on film for many years. I think you would find any of the three standard lenses impressive, particularly given that they can be obtained so cheaply. 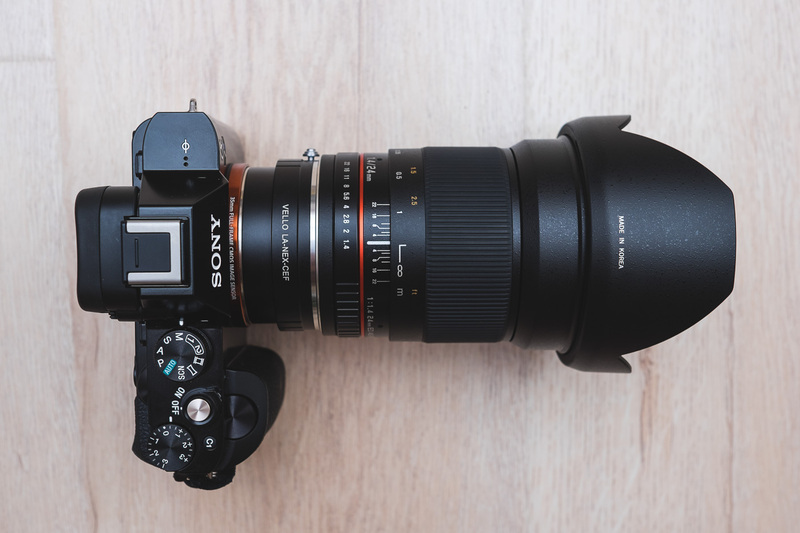 I now use the two standard lenses on the A7. I am thinking of getting the Sony A7 Mk2 as it has in-body image stabilization, and I dodge using tripods whenever I feel I can get away with it! So if you mind me asking which adapter do you use for these Hexanon lenses to Sony E-mount? It’s just a cheap adapter I bought off eBay for around $20, marked Konica-Hex but no makers name. Works well with no issues at all that I have noticed. As for “old love”, my Autoreflex TC falls into that category along with my first car, a classic 1933 Riley 9 coupe! Keen to hear more about Konica Hexanons, have recently heard they are a popular lens to attach to Sony E-Mount cameras, here in Australia we only have a limited range of quite cheap Konica AR to E-mount adapters, please someone provide more info about adapters available for these great lenses. Nothing much wrong with the “cheap adapters”. Any one will probably do, but the best I have tried so far (out of three) is the one made by FOTGA; it just gives more accurate infinity focus. Yes, I’ve kept all my precious Hexanon lenses since the 70s believing there will always be a digital body that will show the best capability of these glass and I now think the time is ripe for a Full Frame digital body. Thanks for sharing your experiences in this article. nice article. Well written. Makes me want a better camera. What a great article! I love the Sony a7s. Sadly the body is way beyond my budget. I chose a very similar route though. Combining the Canon EOS M with old FD lenses like the 50 and 135 prime fits my means perfectly. The announcment of the EOS M3 also gave me a huge motivation to invest more money in good glass. Keep up the great work, really love the site so far! Aha, nice! So they make an adapter for that old FD glass huh? That’s great. This is something that has been possible with Nikon cameras as well for a long time, but I do believe these new mirrorless cameras make using old manual glass even more practical. Also, thanks for the compliment! More will be coming from me soon. Very well written article Cody and easy to read. I have just purchased an A7s with 24-70 f4 Zeiss and looking forward to getting back into photography and videography on a more regular basis. I did a lot of black & white photography in the 90’s and then abandoned everything for over a decade, selling most of the camera equipment I owned. Now I am regretting that decision. In a possible future article, I would be interested to know any recommendations you may have for building a lens collection from scratch. Keeping in mind I have the flexibility of the A7s E-mount system. The amount of choice is overwhelming. Hey, thanks Derek! Glad you enjoyed it. It’s a bummer you got rid of all that gear, but the cool thing about the market right now is you could probably pick those things back up for a fraction of what they initially cost you. Definitely a good idea about the follow up article… I’ll keep it in mind. I’m currently building a set of pre-1970 Nikkor glass, myself! Great article. I’d love to own an a7/s, but I just can’t justify the price at all – a huge shame. On the other hand, everything you have said here applies really well to the other mirrorless systems out there. Yes, vintage wider angle glass is much harder to get hold of – very much needed for an aps-c MILC but with the metabones/lens turbo adaptors out there us more budget-oriented shooters have access to a whole world of glass at more appropriate focal lengths, with decent DoF. Keep up the good work – I will be following the site! Thanks! I totally hear you… before owning a full-frame DSLR I could not imagine how I was ever supposed to scrape enough money together to buy one. But the A7 has dropped considerably, and all I know is it costs now about half as much as the 5D MkII cost back when I REALLY wanted one. But yeah! Totally. I just feel like we’ve all been unwittingly transitioned into this world where a sharp, functional lens has to cost 2-weeks pay. I’m just not into that at all.